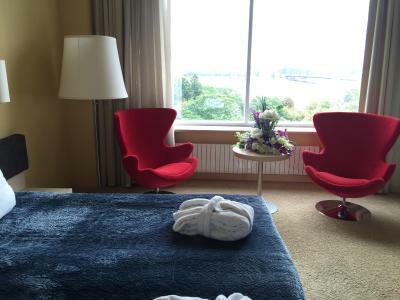 Lock in a great price for Riga Islande Hotel – rated 8.6 by recent guests! The room was old fashioned but very clean. The view from my window was great. Breakfast had many choices and was very delicious. Parking lot was secure and easy to park. Wifi signal was very good too. Breakfast choices could be wider, also there could be pies at the breakfast. Or bigger variation of sweets (cakes, pies). Good breakfest. Kindly staff. Good location. Free of charge parking. Location is very good, nice view from the window, very good breakfast. Great to location! Good price for staying! Nice staff at the reception and night cleaning lady was also friendly. Quiet, nice, cosy and clean hotel. Friendly and competent staff. Free parking. Excellent breakfast, that could replace even lunch ;) Excellent view from the higher floors over Daugava river and old Riga doms. Comfortable rooms and beds. Location - 15 min walk to old town, good breakfast, free parking for the guests. It is a good place to get some rest. It's calm and queit. I liked the comfortable bed and bath. The staff was very helpful and nice. 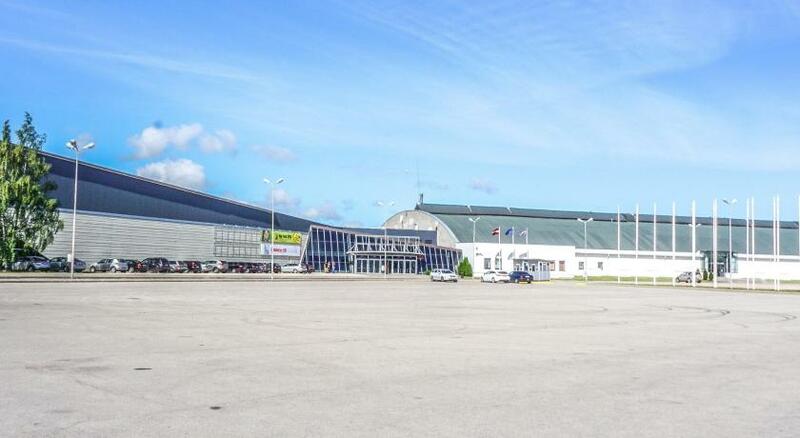 Riga Islande Hotel This rating is a reflection of how the property compares to the industry standard when it comes to price, facilities and services available. It's based on a self-evaluation by the property. Use this rating to help choose your stay! 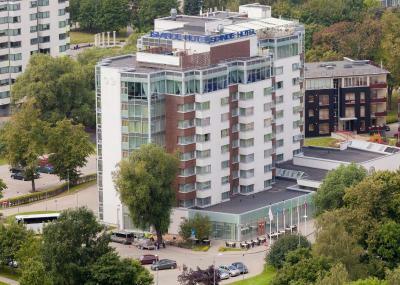 Located on Ķīpsala Island on the Daugava River, Riga Islande Hotel offers air-conditioned rooms with satellite TV, a mini-bar and safe. Free WiFi is featured throughout the property. The rooms of the Riga Islande Hotel feature a classical interior design with carpeted floors and wooden furniture. All include a private bathroom with a hairdryer, toiletries and a telephone. Ironing facilities and a trouser press is available by request. 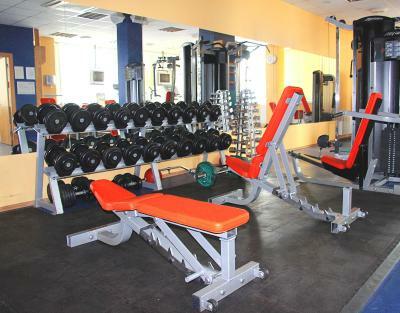 Guests have access to a free gym. The hotel has a 24-hour reception desk, as well as a ticket service for guests convenience. The public beach is located within a few minute walk from the hotel. Free private parking is available. 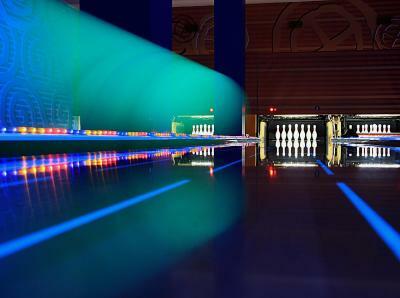 Bowling alley is available at a surcharge and needs to be booked in advance. The hotel’s restaurant serves international and local dishes. In the morning a breakfast buffet is available. 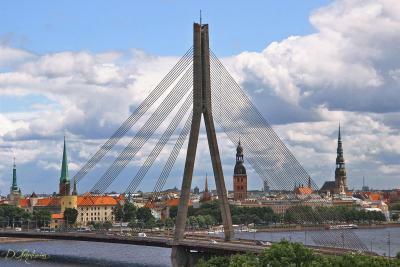 Riga’s Old Town is located 0.7 mi from the hotel. Riga Dome Cathedral is within 1 mi reach from Riga Islande Hotel. When would you like to stay at Riga Islande Hotel? A classic air-conditioned room with a mini-bar and satellite TV. Bathroom comes with a bath or shower, free toiletries and a hairdryer. A spacious, classic air-conditioned room with a mini-bar, electric kettle and satellite TV. Bathroom comes with a bath or shower, free toiletries and a hairdryer. Spacious air-conditioned room with a mini-bar, electric kettle and satellite TV. Bathroom comes with a bath or shower, free toiletries, slippers and a hairdryer. 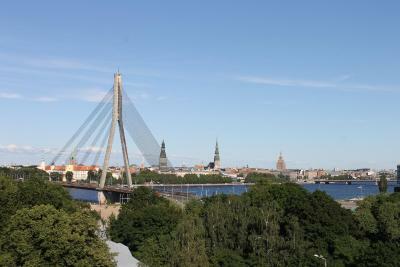 Spacious suite on the 8th floor with a bedroom and living room, which offers a magnificent view of the Riga's Old Town. Bathroom comes with a bath or shower, free toiletries, slippers and a hairdryer. There are suites with a sauna available upon request. An air-conditioned room with a mini bar and satellite TV. An offer includes a gala dinner (drinks included) with live music on the ground floor restaurant. New Year celebration on the 8th floor restaurant. This twin room has a cable TV, air conditioning and mini-bar. Bathroom comes with a bath or shower, free toiletries and a hairdryer. This offer includes a gala dinner (drinks included) with live music on the ground floor restaurant. New Year celebration on the 8th floor restaurant. Cleanliness, value for money, excellent breakfast and breathtaking views from windows are just a few of our hotel's best values. Come and take a look for yourself - we will surprise you. Hotel surroundings – This neighborhood is a great choice for travelers interested in old-town exploration, city walks and history – Check location Great location - show map Guests loved walking around the neighborhood! House Rules Riga Islande Hotel takes special requests – add in the next step! One child from 4 to 16 years is charged EUR 17 per person per night in an extra bed. 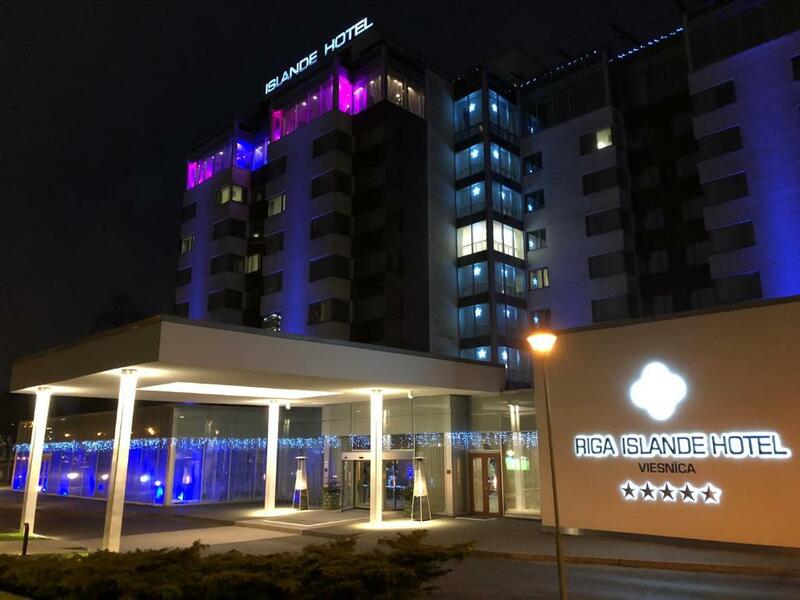 Riga Islande Hotel accepts these cards and reserves the right to temporarily hold an amount prior to arrival. Please be informed that upon arrival it is necessary to show an ID card (National identity card issued by European Economic Area member states) or a passport. to be honest, this is one of or the best hotel to stay in Riga, location 15min walk till old Town, great breakfast with variety of foods for everyone. amazing view from hotel room, fast check-in and checkout. staff allways is there ready to help you in case of need. The bed was extra comfy and the view was wonderful. The location of the hotel is good! The smell of air spray in the room was too strong. My nose felt itchy before I opened the window for quite some time. It would be better if they had ventilated the room before I checked in. Location a bit far from old town but manageable even on foot. Clean and modern room with bath, comfortable bed. Friendly staff, good breakfast. Shopping center with some restaurants and a hypermarket very near. Great value for money. Staff gave really poor advice regarding tourism information. I waited 2 hours for a bus at a stop where I wasn't supposed to be at on the recommendations of the staff. When I called them and informed them my morning was basically wasted and could they help me get to the right location, they told me to call the company myself. Great gym, breakfast was average, facilities average. Bed is small but normal for Europe. Not a bad stay. Liked the hockey on the screen all the time. Apparently owned by a KHL player or associate? 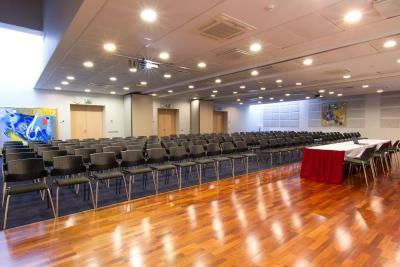 Very suitable for work - big enough table, good lighting, soundproof, perfect WiFi, free parking lots. Good breakfast. Location. Although not far from the Center, the area around offers very little to do. The breakfast was very good. Many options available and some different alternatives on a daily basis. The Gym also was very good, at least if compared to the average ones you can find in similar structures. Comfort beds, 15min to city centre, good breakfast. We had bad noise in the room from next door but the staff changed our room asap into bigger room. Hotel was in good location, fairly clean and with really good breakfast. Staff is on point and really looks after people. Perfect! 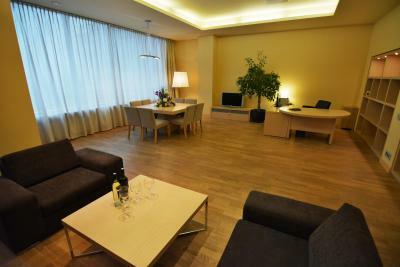 So far the best quality-price ratio hotel in Riga. Clean and large rooms, great location, good breakfast.